The UK economy is on the up, so the papers say, and this could be good news for holidays. Why? Well, recent research has shown that sterling has strengthened against a lot of currencies, which is good news when it comes to spending overseas since we’ll get more bang for our buck, while prices have actually dropped in some of Europe’s most attractive destinations. All in all, 2014 looks set to be a great year to go away. Below are our top five budget destinations for families – hopefully they’ll give you a few ideas for your own holiday, while you can get yet more ideas on this website. 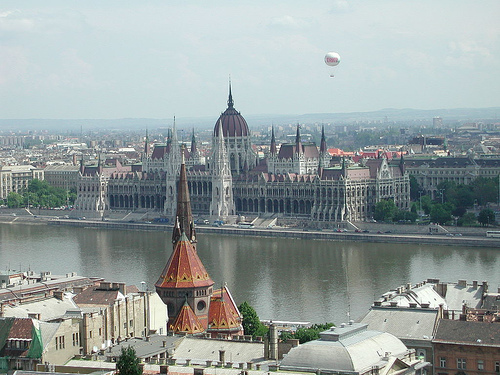 The capital of Hungary, Budapest is a really interesting place for an affordable family break. Perhaps best for those with older children, Budapest is famous for its rich history and architecture, not to mention its many thermal and mineral springs, which are said to have therapeutic properties – perfect for tired mums and dads! And if that tickles your fancy, you’ll be hard pressed to beat the Gellert Baths, which offer indulgent bathing for both men and women (in separate sections, mind). This Art Nouveau building is so stunning that you’ll feel like you’re bathing in some kind of cathedral – a truly amazing experience. For several years now, Turkey has been a favourite destination among cost-cutting holidaymakers who don’t want to compromise on sun and fun. Located on the Turkish Riviera, Marmaris is a particular gem, home to a beautiful harbour, grand castle and, of course, stunning beaches. Among the highlights of a trip here is going on a cruise from Marmaris Bay around the local coastline – something that lots of companies offer. Not only will you be able to see the destination from another perspective, but you’ll also have the chance to stop at various sunspots and relax. Just make sure you sort your visa before. You can apply for a Turkish visa online before hand. Our next suggestion is Spain’s sun-drenched Costa del Sol, which has just about everything a family could wish for – well-priced accommodation, abundant beaches, gorgeous scenery, great weather and food so delicious that even fussy eaters won’t be able to resist. Plus, there are plenty of destinations within the Costa del Sol that cater for different kinds of holiday. If you fancy soaking up a little culture, for instance, you can head to Malaga, while if you would prefer a more traditional fun-filled family getaway, Torremolinos or Benalmadena might be more your scene. Is there anyone who would object to a holiday in the Algarve? This is Portugal’s best-loved destination – and with good reason. Famous for its soaring summer temperatures, massive array of brilliant beaches and huge selection of activities, it has something for everyone. The icing on the cake is that the research we mentioned earlier (the Post Office travel report) found that prices have dropped substantially in the Algarve, which means if you go there this year, you’ll pay less for things like food and drink than you might expect. Rounding off our list is Cape Town – the perfect choice for families who are keen to do something a little bit different. Adults and children alike are bound to be thrilled by a trip to the top of the city’s famous Table Mountain (which takes just five minutes on the Cableway), but there’s plenty else to see and do as well. Boulders Beach should definitely be high on your to-do list if you’re travelling with the family, though. Not only is this a great place to relax, but you can see African penguins here too.